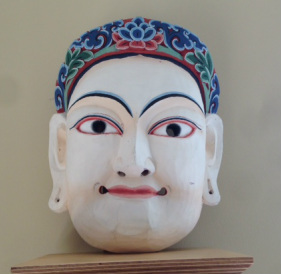 My neighbor went to Burma a couple of years ago and brought this mask back. It's a beautiful and compelling image. Kenji Hasegawa, a master Japanese craftsman, has just completed a new restaurant in San Francisco. Click here to go to his website . Hardworking gregarious Tony Lu (Lu Wei) our tour guide in China is a native of Xi’an, Shaanxi province. Xi’an -- west and south of Beijing -- was the center of ancient China. Tony made friends everywhere and they became his “cousins” meaning someone who he could go to for help and advice. 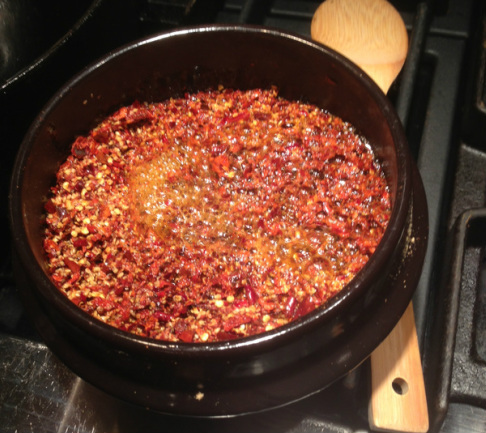 After he gave Chris his family’s recipe for chili Oil, we decided to call it, “Cousin Tony’s Hot Chili Oil”. Click here to see the recipe. Seen at Rainbow Grocery store in San Francisco, there is a new brand of tea. The striking package design conjures up a multiple of thoughts. 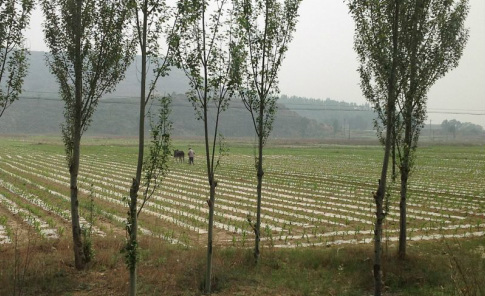 Even though economic growth and modernization in China has brought prosperity to many people, many have been left behind. 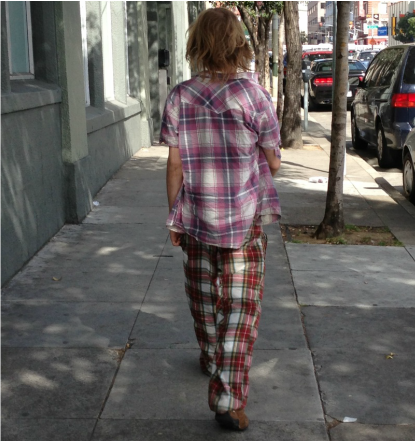 And many have been perplexed with the complexities of modern life and yearn for simpler times -- even hard times. 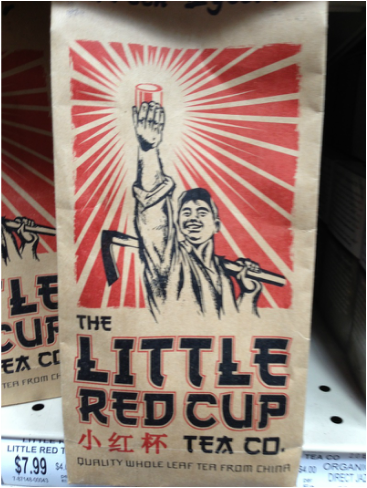 This socialist worker is holding up what would have been Mao's Little Red Book is now holding up a cup of tea -- all in the service of capitalism - only $7.99. Sometimes conventional wisdom gets in the way of creative thinking. Sometimes conventional wisdom is good. The barristas in San Francisco have been stylin' the skinny pants for a while now. Last week I overheard two debating the nuances between slim cut and skinny cut pants (I didn't stick around long enough to hear the conclusion). 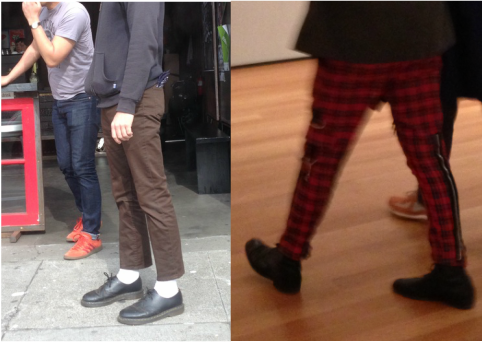 Still the guys on the left in San Francisco don't come close to the guy on the right --- seen at the Museum of Modern Art in NYC! 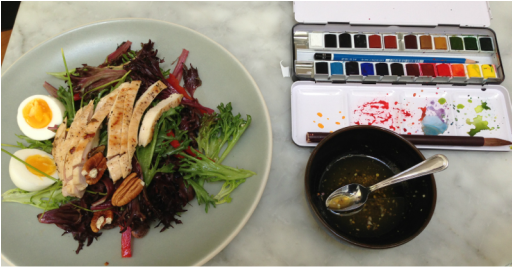 Chris made this salad for lunch yesterday and said that the paints were part of the presentation. She used a couple of hard boiled eggs I made the day before. My method of cooking hard boiled eggs is an adaption of the Cooks Magazine shallow boiled method. Click this link to look at the method. Note that these eggs are steamed for 8 minutes rather than the 10 minutes in the recipe. 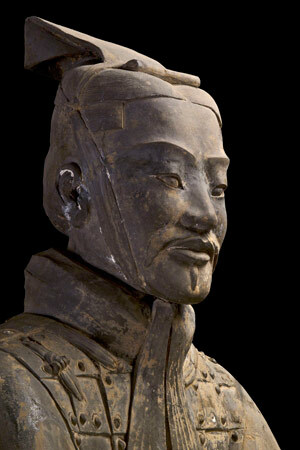 Each of the thousands of terra cotta warriors have individual facial features which lead people to believe they were modelled after real people. This one seems like a nice guy.